The Users add-on will provide additional functionality for lazy loading WordPress Users with Ajax Load More. 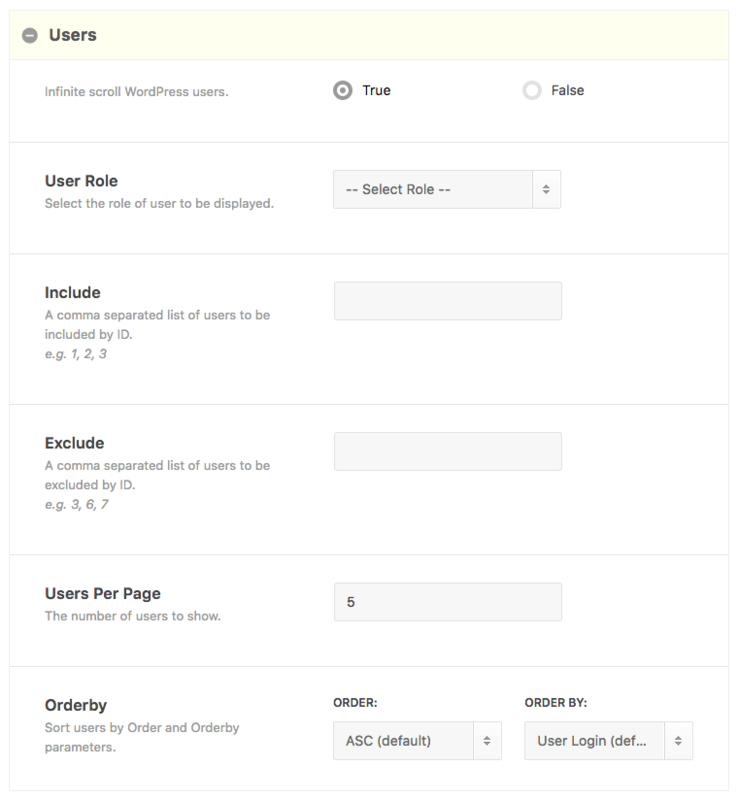 Query and display a listing of WordPress users by role (Authors, BuddyPress Users, Subscribers etc) using a WP_User_Query and Ajax Load More – view example. The Users add-on works by providing a connection point between the WP_User_Query class and Ajax Load More – this core WordPress class is used for querying users by specific roles. With the Users add-on activated you can create infinite scrolling list of subscribers, authors, BuddyPress users or any custom role on your site and display information about each user like you would a standard WordPress post or custom post type. When building a custom users shortcode you may choose to display all users or select a specific user_role from the list. Note: For security and privacy reasons the users_role parameter is encrypted before any user query is run by Ajax Load More. This extra measure will prevent data manipulation of the Ajax $_GET request URL. When Ajax Load More runs a WP_User_Query the results of the query can be accessed in Repeater Templates by referencing the $user object. The following shortcode parameters are available with the Users add-on. The following screenshot illustrates the process of building a Users shortcode with the Ajax Load More Shortcode Builder. Below are common questions regarding the Users add-on. If you have a question and don’t see the answer, please visit the support page and submit your request. How do I access the current user/author data in my Repeater Template? The current user can be accessed in an object called $user. The $user object hold very high level data about the user and in most cases you will need to extract the $user->ID to access additional data. How do I access meta data for an user in my Repeater Template? Here is a complete list of available author_meta parameters. Note: $user will always the object variable name returned from Ajax Load More for each user. Upon purchase of this add-on you will receive a confirmation/purchase receipt email. Your receipt will contain a direct link for downloading your copy of Ajax Load More: Users and a license key. Quickly and easily display an infinite scrolling list of site users. Users add-on is fully compatible with the Preloaded, SEO and Cache add-ons. Ajax Load More v3.3 or greater must be installed. 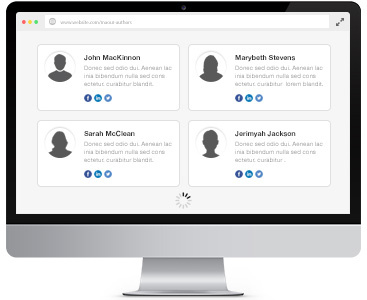 NEW - Added support for multiple user roles. NEW - Added support for custom field (Meta_Query) user queries. Update - Added new return function to get total users found in `User_Query`.